I pledge to communicate and work with organizations and legislators in raising awareness on the issues as well as passing legislation.that works for Montanans. 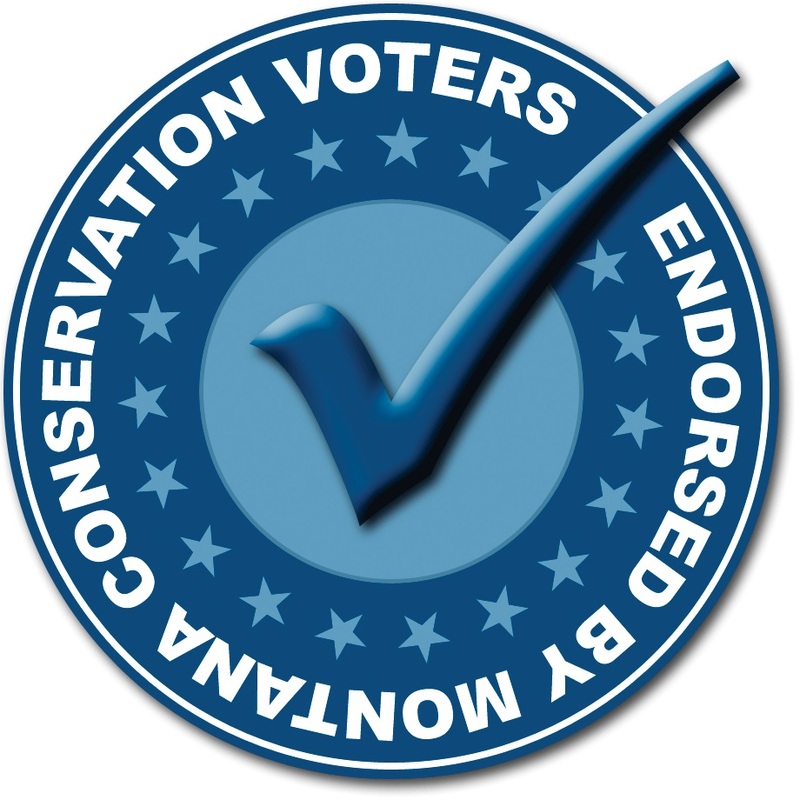 MCV advocates strong conservation laws and policies, holds elected officials accountable for their votes and actions, and elects pro-conservation candidates to champion our priority issues. The Montana AFL-CIO represents over 50,000 working Montana families, 38 Montana Unions, and 500 locals. We believe that in order to have a truly representative democracy, at least 50% of our elected leaders should be women. With targeted recruitment, excellent support and training, and help with fundraising women will gain equal representation in the Montana Legislature. When strong female candidates are on the ballot, women will turn out to vote in record numbers. Women’s voices matter. The influence of women office holders leads to the adoption of progressive policies which benefit our entire community. DSA members believe that both the economy and society should be run democratically to meet human needs, not to make profits for a few. DSA is a political and activist organization, not a party; through campus and community-based chapters DSA members use a variety of tactics, from legislative to direct action, to fight for reforms that empower working people. DSA is not a part of the Democratic Party: rather we work to elect people who share our values and vision regardless of party affiliation. Montana Federation of Public Employees is the largest labor union in Montana. Standing with MFPE means standing for strong public services and public education to support a civil & just society. The members are Montanans that include those who teach our youth, protect our public safety, keep our drinking water clean, supervise prisoners, manage wildlife, provide health care, and much more. Planned Parenthood Advocates of Montana is a non-partisan, not-for-profit organization formed as an advocacy and political arm of Planned Parenthood of Montana. PPAMT engages in educational and electoral activity including legislative advocacy, voter education, independent expenditure campaigns, and grassroots organizing. MRVAF works to defend and elect candidates for state and federal office who stand up for conservation and rural family agriculture by elevating those issues during the policy-making and electoral processes. They seek to empower and activate rural Montanans and residents of Yellowstone County in our local state and federal election system. The Progressive Change Campaign Committee (PCCC, BoldProgressives.org) is a million-member grassroots organization building power at the local, state, and federal levels. It engages in electoral work and issue advocacy work on democracy issues and for economic populist priorities. The PCCC has raised over $26 million online in grassroots donations for its electoral and advocacy work, and directly for progressive candidates and committees. Montana 55+ Action Fund is a strong voice to engage Montanans 55 and older to advocate for forward thinking policies such as health care and economic security for all. The members of Big Sky 55+ know that political battles are not for the faint of heart. They also know that the laws and budgets we pass at the local, state, and national level reflect priorities. For too long the focus has been on helping the rich get richer while the rest of us foot the bill predicated on faulty, disproves trickle-down economic theory. Big Sky 55+ believes that our priorities should be focused instead on building a better future for Montanans today and tomorrow. Montana Native Vote Action Fund is a Native American Voter Engagement organization that advocates for progressive change in Montana’s Indian Country and works to recruit Native political candidates to seek public office at the county, state and national levels. EMILY's List members are dedicated to building a progressive America by electing pro-choice Democratic women to office. They believe in the power of women as candidates, as contributors, as campaign professionals, and as voters to bring about great change in our country. EMILY's List is committed to a three-pronged strategy to elect pro-choice Democratic women: recruiting and funding viable women candidates; helping them build and run effective campaign organizations; and mobilizing women voters to help elect progressive candidates across the nation. By working together, we can make a difference -- and change the face of American politics. NARAL Pro-Choice Montana's mission is to develop and sustain a constituency that uses the political process to guarantee every woman the right to make personal decisions regarding the full range of reproductive choices, including preventing unintended pregnancy, bearing healthy children, and choosing legal abortion. 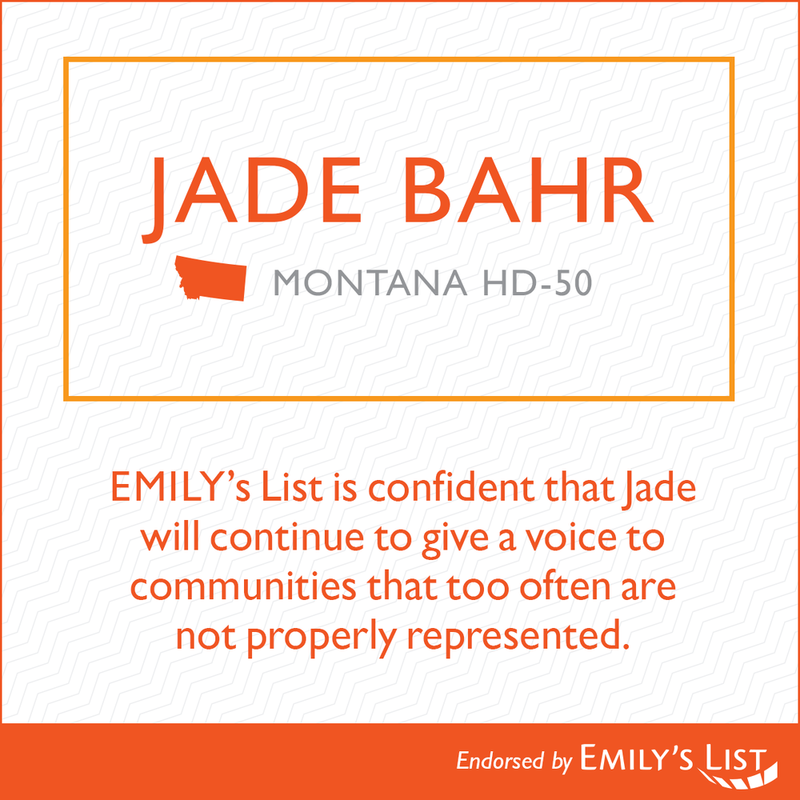 Their vision for Montana communities--communities in which every pregnancy is wanted, every child welcomed, every woman respected--is as strong as our determination to build them from the grassroots up. Montana Progressive Democrats is a statewide grassroots "Partner" organization of the MT Democratic Party. Their purpose is to be inclusive, expand and effect progressive changes within the MT Democratic Party and promote progressive ideals and Candidates. They work to bring economic, political, racial and social justice to all Montanans .